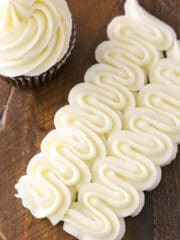 This Cream Cheese Frosting recipe is quick, easy and perfect for frosting cupcakes since it holds its shape for piping! It’s the best cream cheese frosting and can be used on either cupcakes or layer cakes. You have to try this cream cheese frosting! Frosting is one of the most important parts of a cake and tends to be the best part, in my opinion. Every one needs great frosting recipes that they can work with and cream cheese frosting is a classic and must-have. It’s also quick easy to make and work with, if you have a great recipe and know how to make minor adjustments as needed. 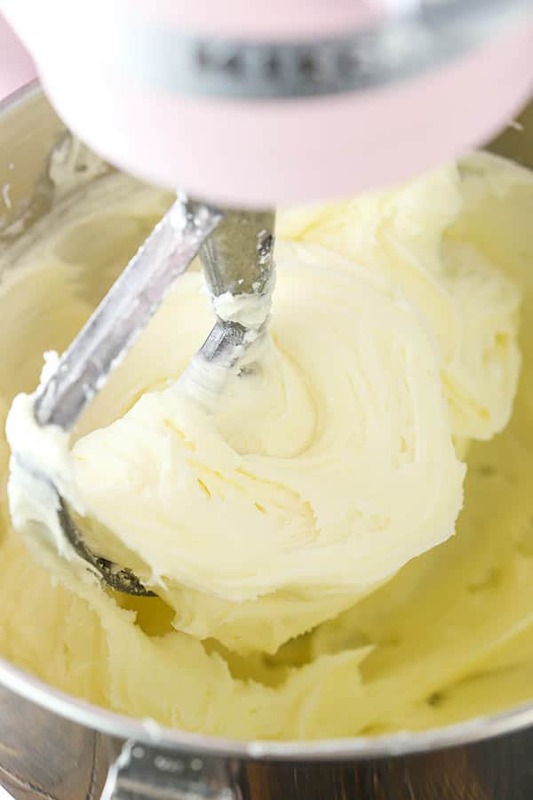 To make cream cheese frosting, you’ll need your butter and cream cheese, which should basically be at room temperature. Keep in mind though that if you’re in a pretty warm climate, room temperature may be little too warm. So as you consider the right consistency for the butter and cream cheese, it should be a little cool to the touch, but soft enough that if poked, it makes an indention without your finger going straight through it. As for ratio of butter to cream cheese, I use a little less butter and a little more cream cheese. If you’re going for a cream cheese frosting, I say really go for it. There’s not a big decrease in butter, but just enough to make sure it doesn’t steal the show. Once you’ve combined your cream cheese and butter so that it’s nice and smooth (if you have lumps, they are probably too cool and you’ll want to let them come closer to room temperature), it’s time to add the powdered sugar. I know it’s tempting to reduce the amount of powdered sugar and might seem harmless, but this is what adds volume and structure to the frosting. If you reduce the amount of powdered sugar, just know that it’ll affect the final consistency. If you’re looking for a pipe-able frosting, be sure to use the full amount. The final ingredient is the vanilla extract, which adds nice flavor to the cream cheese frosting for that last final touch! So, I make my cream cheese frosting for cakes and cupcakes just a little bit differently. Cupcakes are a little more forgiving when it comes to frosting consistency and having a little thinner frosting. 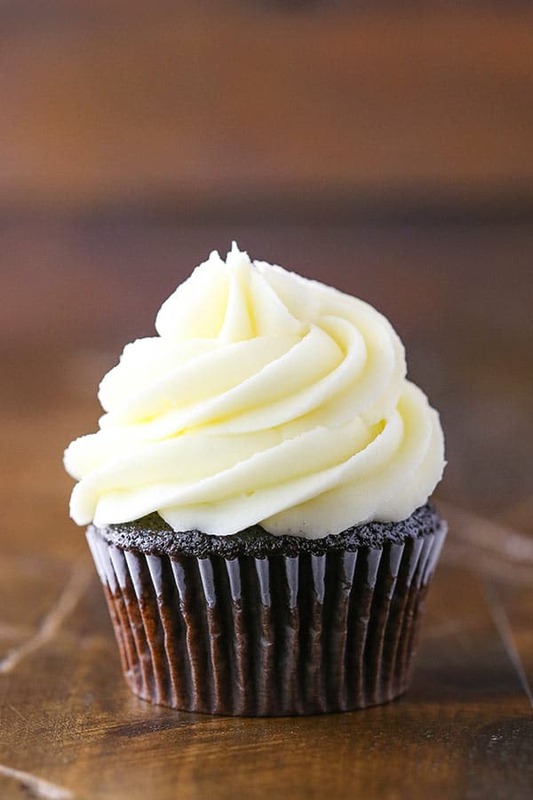 You get away with a thinner frosting because it sits nicely on top of the cupcake and doesn’t need to cling to the sides of something, like with cake. For my cupcakes, I use four cups of powdered sugar. That’s the standard amount of powdered sugar I use in most of my buttercream frostings to have enough frosting for about 12 cupcakes or so. 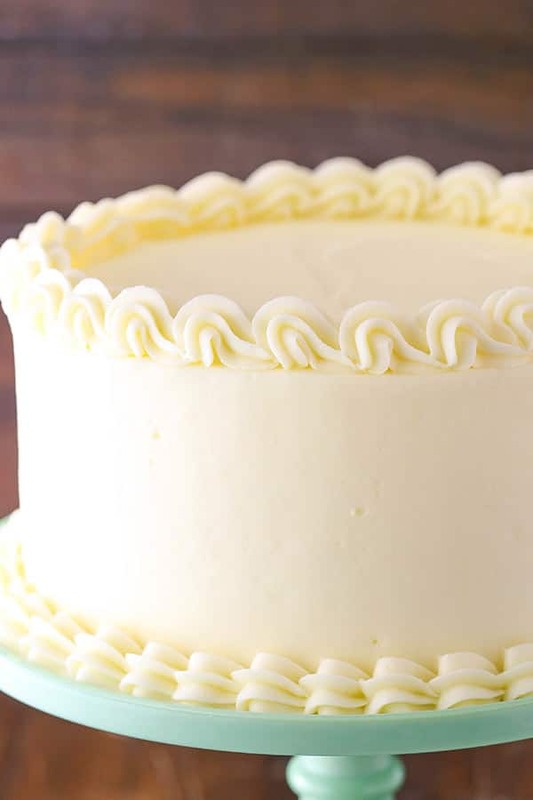 It works perfectly in this cream cheese frosting to give it volume and enough thickness that it holds it’s shape when piped, but doesn’t go overboard on sweetness. When it comes to cakes, I up the powdered sugar by just a bit. A cup to be exact. Although you’ll find that they way the recipe is written below, I double the frosting for a cake. It’s enough frosting to generously frost a three layer 8-inch cake and have frosting between the layers and on the outside of the cake. It also pipes beautifully if using it for borders and decorations. What does cream cheese frosting go well with? Cream cheese frosting pairs well with so many things, you really can’t go wrong. It is probably most often paired with carrot cake, like I did with these Carrot Cake Swirl Cupcakes. Such a classic combination. You will also find that it’s the classic accompaniment with a Red Velvet Cake. You could even use chocolate cream cheese frosting, as used on these Red Velvet Cupcakes. While cream cheese needs to be stored in the fridge, there can sometimes be a little wiggle room with cream cheese frosting. Although it safest to store it in the fridge and that’s what I do, if you’re home is kept at about 70 degrees or cooler, the frosting should be fine to sit on the counter for a day or so. If you’re going to leave it out longer than that though, I’d refrigerate it. If you do refrigerate it prior to adding it to your cake or cupcakes, you’ll want to let it sit out and soften up again before using it. 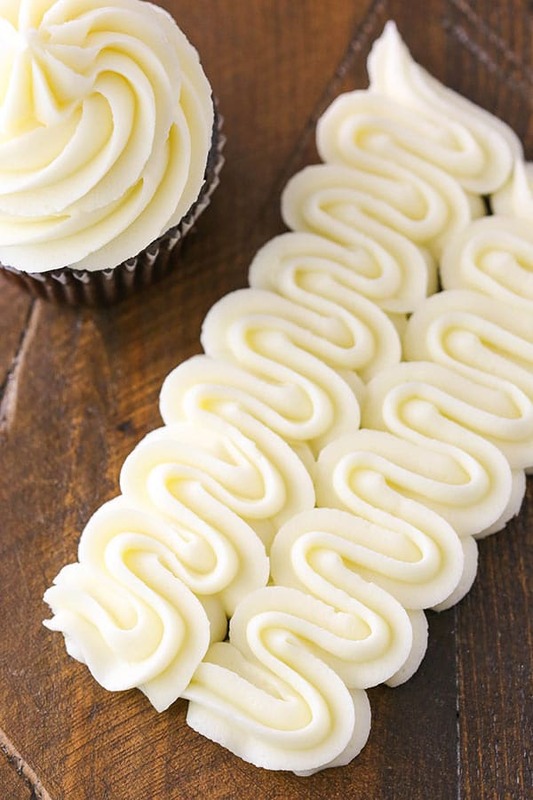 This Cream Cheese Frosting recipe is quick, easy & perfect for frosting cupcakes since it holds its shape for piping! It’s the best cream cheese frosting! 1. 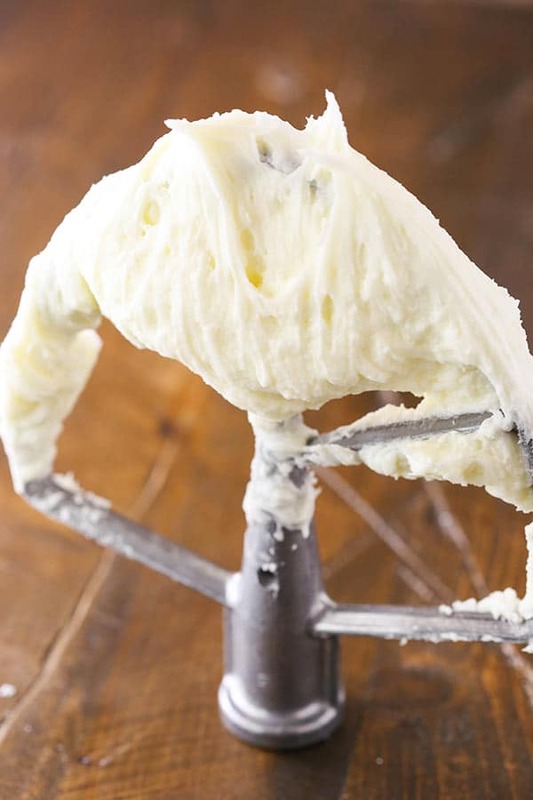 Add the cream cheese and butter to a large mixer bowl and beat until well combined and smooth. 4. Add the remaining powdered sugar and mix until well combined and smooth. 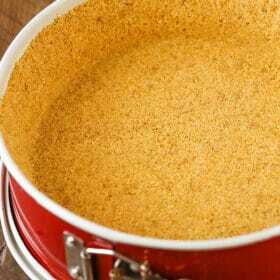 Add more or less powdered sugar, as desired for consistency purposes. Note: The frosting for cupcakes and cakes differs only by the amount of powdered sugar used. I find that a little thicker consistency frosting is nicer on a cake so that things stay in place on the sides of the cake. Feel free to adjust the amount of powdered sugar if you’d like, but keep in mind that less will give you a thinner frosting and more will make it thicker. Both versions of the cream cheese frosting will pipe well, just be sure the frosting doesn’t get too warm. Note: I like to use salted butter, but feel free to use unsalted. Add about 1/8 teaspoon or so of salt, depending on your preference. Note: To make a chocolate cream cheese frosting, add 1/2 cup (57g) of natural unsweetened cocoa to the cupcake frosting and 1 cup (114g) to the cake frosting. 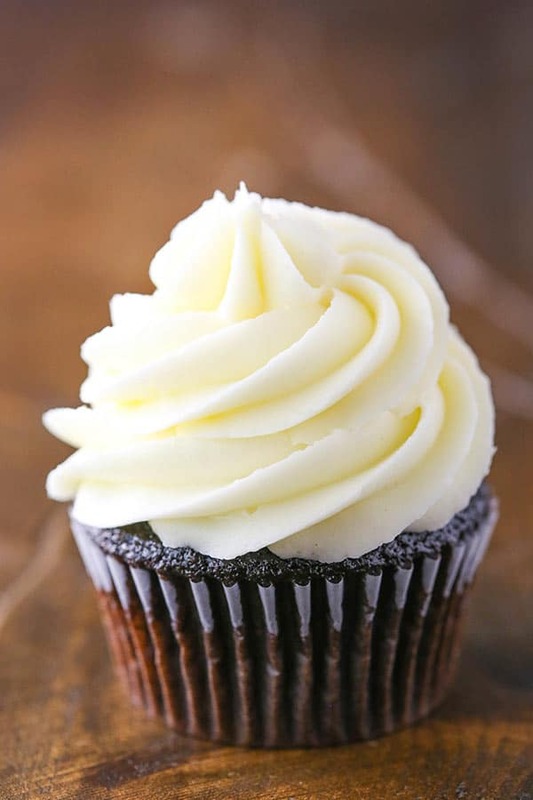 Note: Store unused cream cheese frosting in the fridge for 4-5 days or freeze in an airtight container for 2-3 months. Would using low fat cream cheese affect the consistency? I have never tried low-fat cream cheese in the frosting. It might change the texture a little bit and it might be a little thinner because of the reduced fat, but it should be okay. Have u duplicated the recipe like lemon supreme cheesecake from the cheesecake factory? 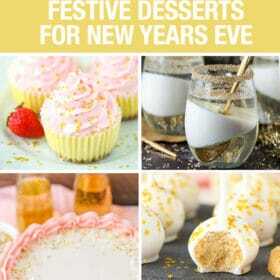 I have not, but my recipes for Lemon Cheesecake and Lemon Meringue Cheesecake may be what you are looking for. To make chocolate, would I reduce the powdered sugar by 1/2 cup to add 1/2 of cocoa? For the cupcakes version, I’d do just that. For the cake version, I’d double it – so reduce sugar by 1 cup and add 1 cup cocoa. If trying to make chocolate icing, would I reduce the powdered sugar by 1 cup – so 9 cups powdered sugar and 1 cup cocoa – or just add the 1 cup of cocoa to the 10 cups powdered sugar? Yes, I’d reduce it to 9 cups and and 1 cup of cocoa. Hi, first time baker here. I tried this frosting recipe and it was basically liquid. I’m not sure what I did wrong, I even got a measuring scale to make sure I used the correct weights. I used all 4 cups of icing sugar, that’s all I have in the house. I wonder how much icing sugar you have stocked hehe! Any tips on how to save a runny frosting? Thanks! I’m looking forward to trying your cheesecake recipes next. That’s very strange. I’ve never had that happen. Perhaps the cream cheese and butter were too soft. Room temperature can vary between people’s homes, so if yours is warmer, that could give you ingredients that are a little too soft. I’d try to pop in it the fridge for a bit and see if that helps. If not, the only thing I can think to try to save it is more powdered sugar.